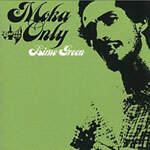 All songs produced by Moka Only. All songs recorded and mixed by Roger Swan at Hipposonic Studios, Vancouver BC. Vocals by Moka Only, Sunspot Jonz, Abstract Rude, Mad Child, Prevail, and LMNO.